Saturday March 21, the first SAP Inside Track in Frankfurt. Perfectly organized by Hendrik Neumann, Christian Braukmüller and Tobias Trapp. In case you have missed it, relive the event with Storify. 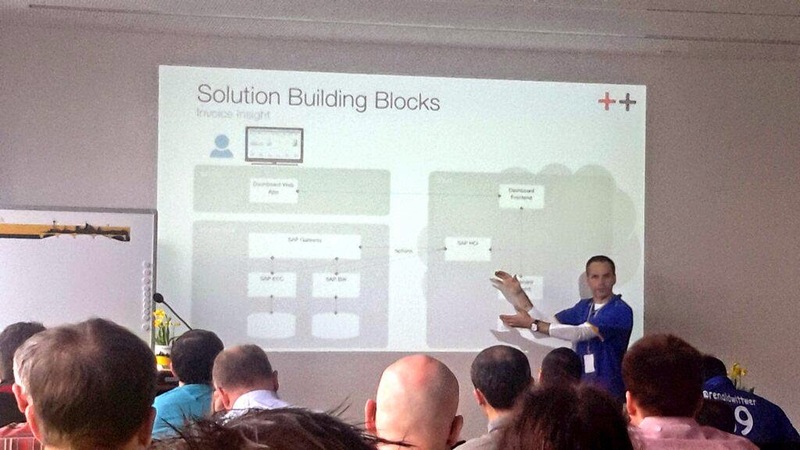 I got the opportunity to do a talk on our experiences to build an SAP HCP app. Jeff interviews SAP Americas CIO and they discuss the implementation of both BW and ECC on HANA. Good story and clear lessons learned that other customers can benefit from. A migration to Suite on HANA is not a technical migration, sure a major part is technology, but do not underestimate the impact on business. Better: use the momentum to get rid of all your old, sometimes even dead, custom developments. Back to standard SAP. Do you still need a platform to run SAP Fiori? On Friday November 14th 2014, just right after SAP TechEd, I was involved as Design Thinking coach in a customer innovation day. An InnoJam style day that started with Design Thinking and lead us via prototyping to really interesting scenarios. These have been evaluated by business and IT and lead to a real project to support service engineers. Ever wondered what the IoT, Internet of Things topic is all about? And do you know why SAP is very active in this area? A good start is the SAP IoT YouTube channel. A recap of SAP's internal DKOM meeting, the SAP Developer Kickoff Meeting, held in Walldorf on March 3.